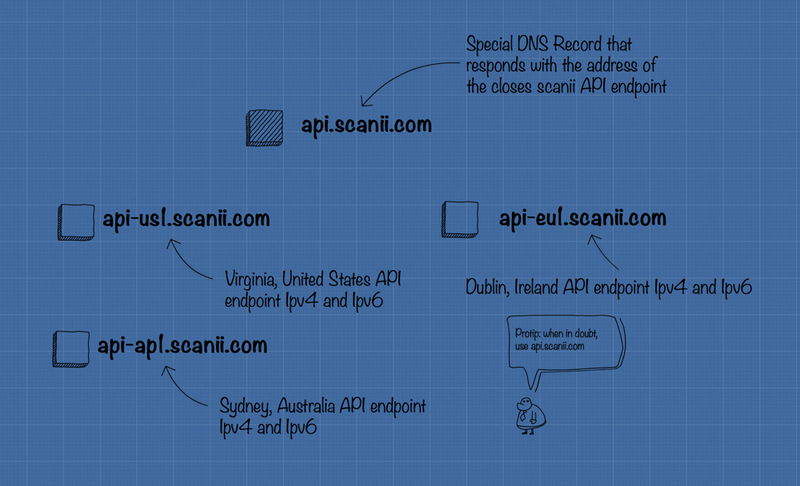 In a nutshell, you can use either the regional domains (api-eu1.scanii.com, api-ap1.scanii.com and api-us1.scanii.com) directly or the latency routed api.scanii.com to interact with the scanii APIs. As the gentleman said, when in doubt, stick with api.scanii.com. In the US a lookup to api.scanii.com will return the IP address of our api-us1.scanii.com location. The same lookup from Europe would return the address of api-eu1.scanii.com.